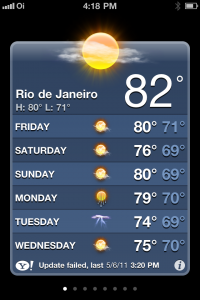 The weather is SO NICE right now in Rio de Janeiro. I love it!!! Proof is on the iPhone…:)…see below. Most resources state that the fall starts out hot, rainy and humid (March) and ends mild and less rain (May). March is one of the rainiest months in Rio de Janeiro. Fall in general is hot, with temperatures and humidity levels dropping slightly from the subtropical heat of summer. 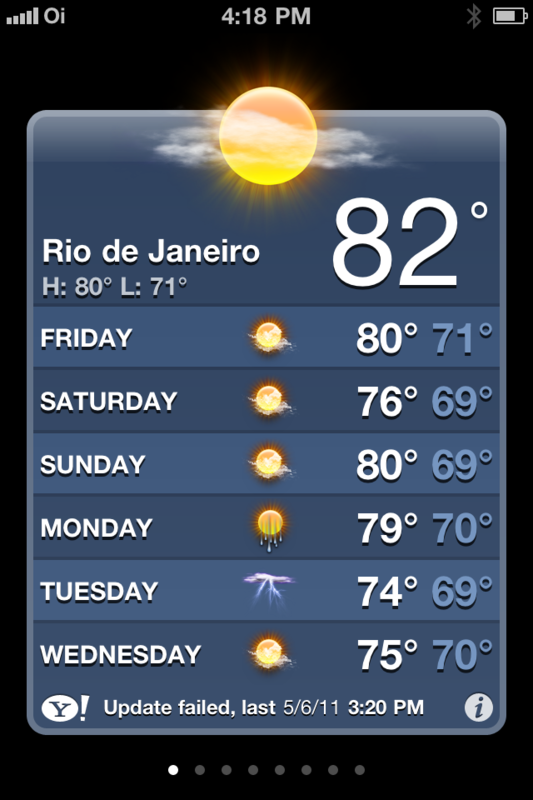 Rio de Janeiro weather in the later part of fall is one of the best times to visit. So what are you guys waiting for? Perfect weather is already here!